As all Estheticians and Facial Specialists know, it is extremely important to have your tools of the trade readily available for services. 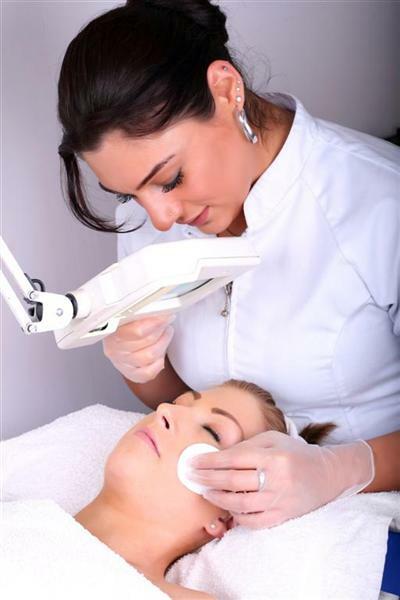 Many specialists we speak with may have 1 or 2 extractors, but you really need a full range of options so as to care for your clients' skin needs. A Standard Lancet - Pierces Whiteheads. Spade Lancet - Pierces Whiteheads. Triangle Lancet - Pierces Whiteheads. Schamberg Extractor - Removes Blackheads and Whiteheads with minimal bruising. Round Spoon Extractor - Removes Blackheads and Whiteheads. Angled Loop Extractor - Removes Blackheads and Whiteheads. Oval Spoon Extractor - Removes Blackheads and Whiteheads. Flat Loop Extractor - Removes Blackheads and Whiteheads. Double Ended Handle - Textured for a Secure Grip. What makes this convenient is that it not only has all of above tools, but it also has a Double-Ended Handle, making it simple to switch tools in and out when you need them. 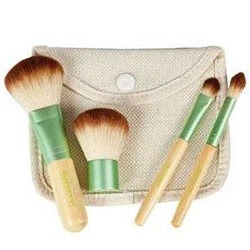 CLICK HERE to see the Satin Edge 9 In 1 Facial Tool Kit. Which types of Lancets and Extractors do you find to be the most effective? Warm Up Your Bottom Line with NEW Table Warmers! With everyone around the world making their New Year's resolutions this week, I know business owners are not only making personal resolutions, but also resolutions for their businesses. And I am sure that top of the list for every business owner is BUILD THE BUSINESS AND INCREASE PROFITS. Easy enough to say, but turning that statement into reality is a little more challenging. I have a quick and inexpensive way to help massage businesses "Buy" repeat clients: new table warmers! For many massage clients, one massage is as good as another, and it doesn't make a difference who is performing the massage. For the massage business, however, building a lasting relationship with each and every client is key to business growth. Making each massage memorable should be the ultimate goal. And, let's be honest here, its the small details that make the massage memorable, NOT the massage itself! Pure Spa Direct to the rescue! We offer a range of table warmers to make YOUR massage bed the cushy, warm, comfy bed that every client remembers and wants to return to. Ranging from about $59 to $100, these massage table warmers could mean the difference in clients coming for 1 massage to clients coming for monthly massages all year round! 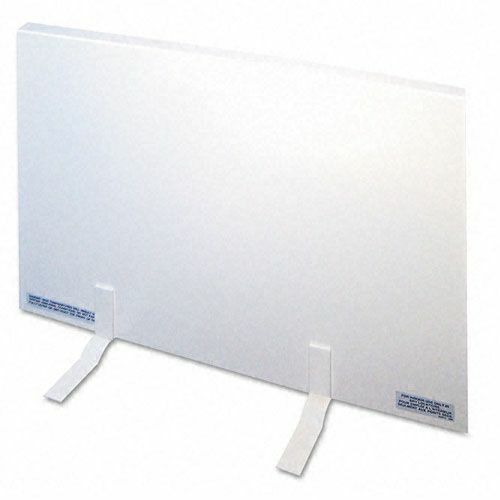 To view our full selection of table warmers, CLICK HERE. What are some of the small details you emphasize to make your massage memorable? Its the little things that count. Now that we're coming to the end of the year we realize that it's the little things that make us happy and makes these times memorable. Something little added to the massage experience that can make it more memorable would be filling the air with Biotone Essential Oils. 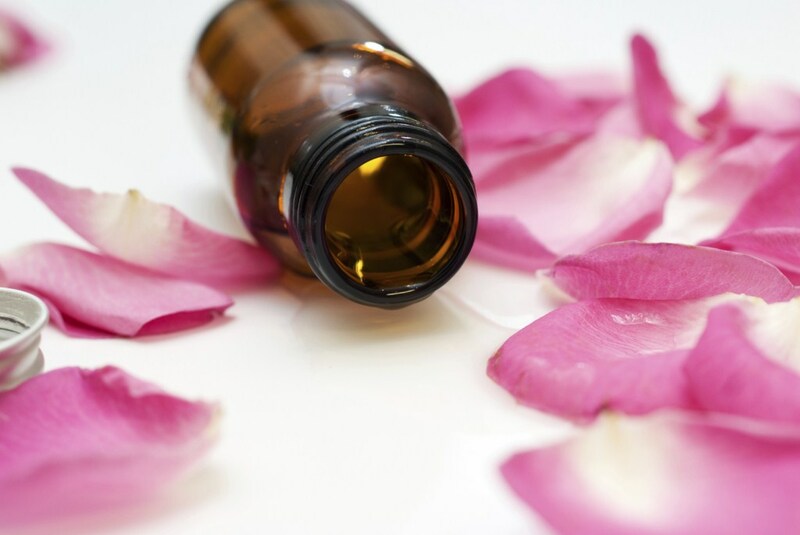 Just by simply adding a couple of drops of essential oil to steaming water and putting it underneath the face rest on the massage bed will add to the experience, making it more relaxing, euphoric and aromatic. Enticing more than one sense will make the massage more memorable, which in turn will have people talking about the experience to others influencing them to come and get the massage and they themselves wanting to come back again. There, just by adding a couple of drops of essential oils will turn your Spa into the talk of the town - A little goes a very long way. We carry the largest variety of scents and bowls to choose from, so CLICK HERE to see our Essential Oils just check out the website. Can you feel it? Hot Hot Hot - Ouch! Thermal Mitts to the Rescue! Professionals and consumers alike accidently inflict extreme pain on themselves daily in the name of beauty and styling control. Yes... they burn the bajeevies out of their hand using hot styling tools like curling irons, flat irons, etc. Yeoooowch! 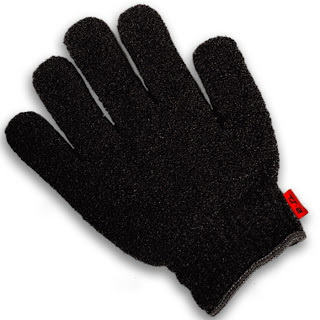 Big problem, simple, inexpensive solution... the SS Slik Stik Professional Thermal Mitt. Protects hands from high heat appliances! Get one... they cost under $3 bucks and they will save you from hours of pain. 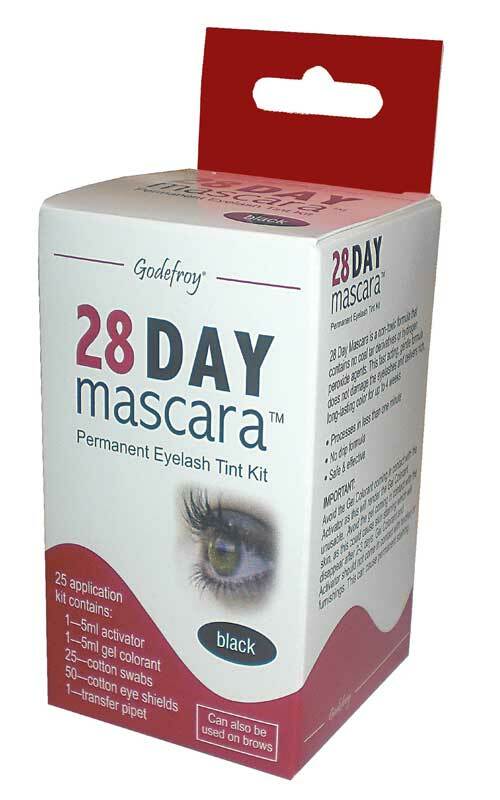 Great for professional use, packaged for profitable retail sale (Suggested retail is $6.99). 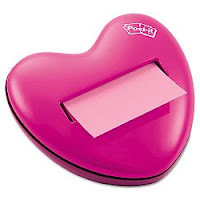 Make Your Office Decor POP with the Post-It Pop-Up Dispensers! 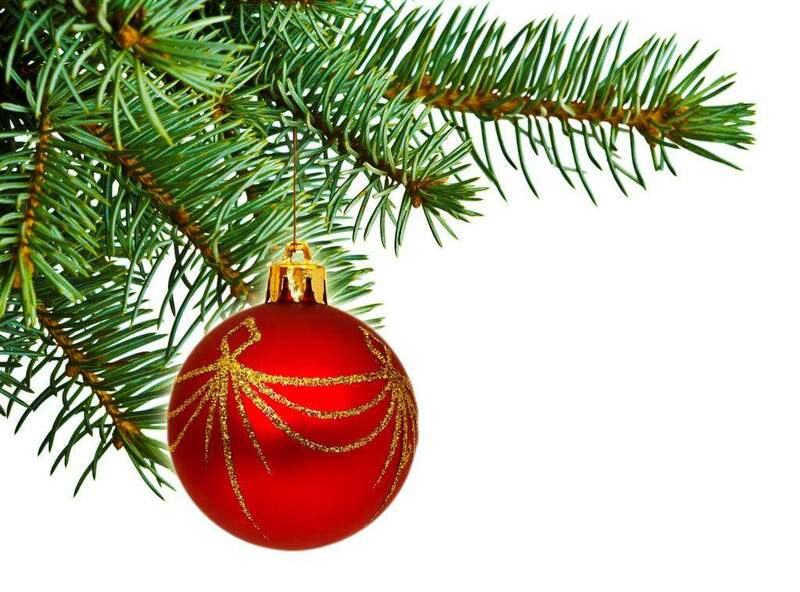 First and Foremost, Happy Holidays and Happy New Year to all of our wonderful readers!! We like to focus most of our blogs on how to improve and update services to as to achieve greater client satisfaction, but what about your staff? It is a simple fact that your business will run smoother and more efficiently when your team has the necessary and convenient items to make their job easier. Some cute, decorative and fun products you can provide for your staff are the Pop-Up Notes Dispensers that come in different designs, including a Heart, Purse, Pebble and even an Apple! They provide easy, one-handed access to the always necessary Post-It notes, plus they are just really nice to look at. CLICK HERE to see our assortment of Post-Its and also CLICK HERE to see all of our recently added Office Supplies! 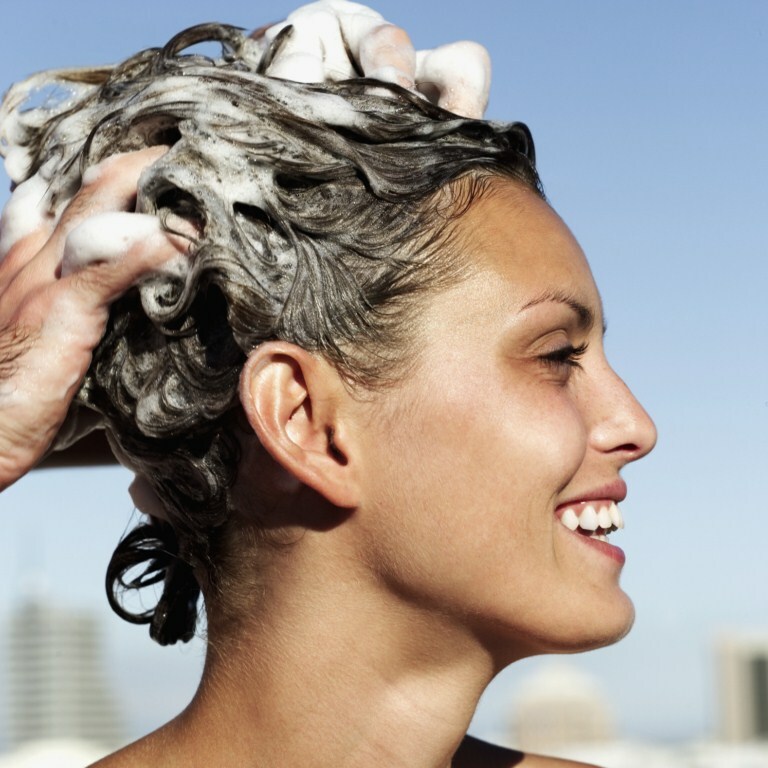 Your Salon/Spa Staff is Covered in Germs! Who's Your Buddy? That's Right... I Am! OK, maybe that sounds kind of extreme, but it is true. It seems the only time we all become aware of germ spreading is when it is in the news... flu, SARs, fill in the blank out breaks seem to stir us all in to action for a while.. then when the media calms down, we all settle back to being a bunch of germ spreaders. As with everything else in life, the key to making things work is the KISS principle -- you know, keep it simple stupid! If you put hand sanitizer dispensers in all your treatment rooms, by golly, the staff uses them. Lets repeat this... put hand sanitizers out and people use them. Simple! Pure Spa Direct offers a massive selection of hand sanitizers to help you stop the spread of germs between staff and clients. We have stand up floor dispensers, pump dispensers in a range of sizes, mini bottles you can give to staff for their pockets and purses as well as retail at your point of purchase. 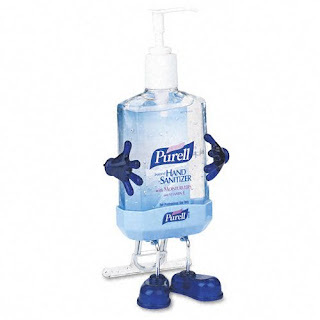 We even have the "Pal" - a cute bottle holder with feet and hands. Be proactive and stop germ spreading BEFORE your staff and clients trade off germs, colds and other nasties to each other! No matter where you are located, moisturization during the winter months is key. The trickiest part of the body to find the perfect moisturizer for, however, is the face. As person who is experiencing a whole spectrum of issues - Combination Oily/Dry Skin, light acne, the beginning of fine lines - I have been on a quest to find the perfect facial lotion to solve all of those issue so that you can use it in your services and to sell to your clients. 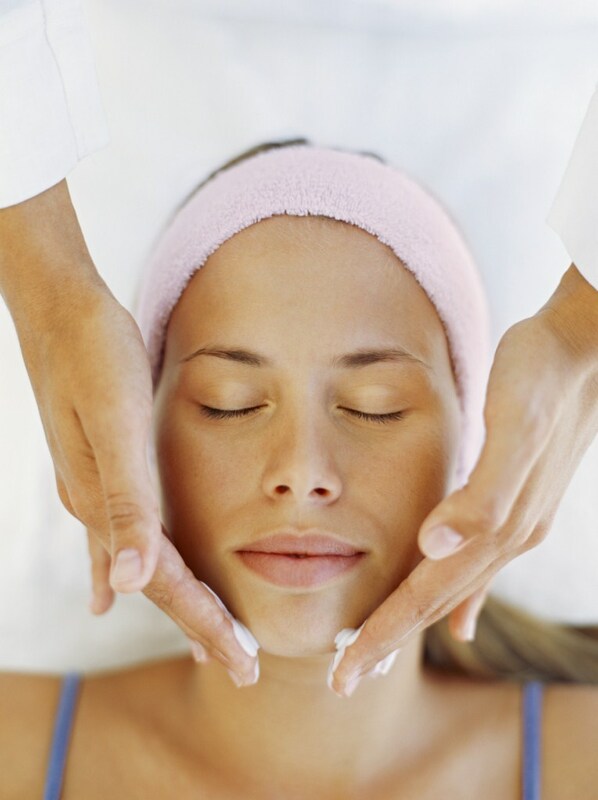 Bon Vital has just released the fabulous Facial Therapy Creme with an Anti-Aging Complex. 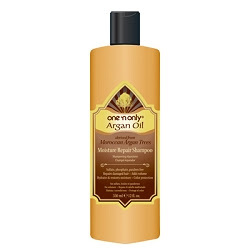 It has been enriched with Certified Organic ingredients, including Jojoba Seed Oil, Sunflower Seed Oil, and Olive Oil. In addition, this cream also contains Hyaluronic Acid, Collagen, Elastin, Aloe Vera Vitamins A, C & E.
What does this mean for you? Automatic confidence that you are providing they best quality ingredients for your clients. CLICK HERE to see the Professional 16 Ounce size and CLICK HERE to see the retail 3.38 Ounce size. Between the cold weather, washing dishes, doing laundry wrapping presents, and pretty much all that goes into getting ready and living through the holidays, my hands are a mess - havoc has been wreaked. I would love to get a treatment that focuses mainly on my hands, however, the only option that seems to be available is a manicure. While we all love our manicures, sometimes the focus needs to be shifted from prepping for polish to strictly caring for 2 of our most essential body parts. 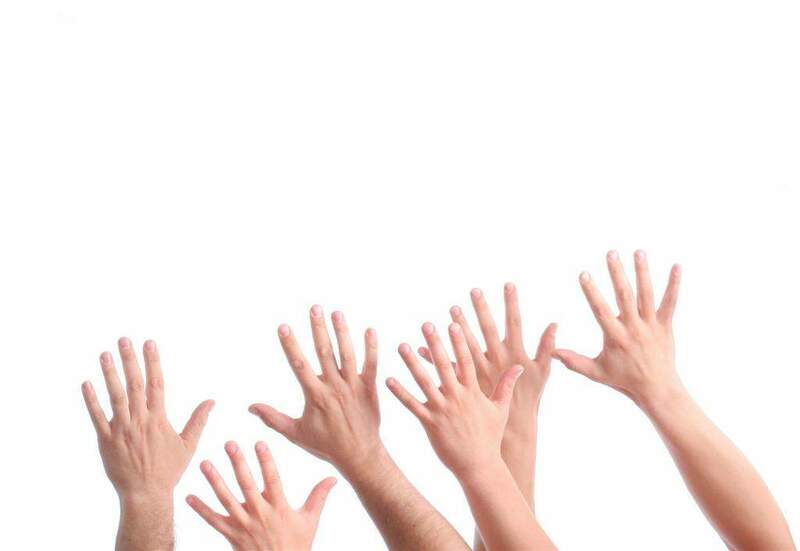 It is time for spas and salons to start adding Hand Treatments to list of services. It is an easy Add-on where you can incorporate a mask, ampoules and a massage. The perfect product to use as the base for this service is the Collagen Hand Mask / 24 Karat Gold / 1 Pair. Formulated with Silk Extract and Gold Powder, this luxurious mask is placed on top of your clients' hands to hydrate, moisturize and their re-balance skin tone. Another essential product for the hands is the Dr. Temt Magic Macadamia Oil Ampoule / 5 Pack / 0.14 oz Each (MMA). Not only do they moisturize the skin, but the Macadamia Oil Ampoules' main feature is their regenerative property - They provide a protective layer while assisting the skin in healing itself, a MUST during this time of the year. To maximize the effects of this product, massage it into the skin with steam prior to applying the 24 Karat Gold Hand Mask. You can finalize this treatment by providing an Aromatherapy Cream or Lotion Massage to complete the euphoric experience. If you want to customize the cream or lotion, Amber Products offers some fantastic Unscented Bases to add your blend of Essential Oils to. If you prefer to have your scents pre-made, I recommend checking out the Keyano Butter Creams. There are a variety of scents, from warm to tropical, and all provide an escape for the senses. I have yet to find a form of this treatment, but maybe you can be the first one to start a Winter Hand Revolution! Great scents create memorable experiences. So why not add a fragrance complex that will enhance your own personalized signature to massage treatments? 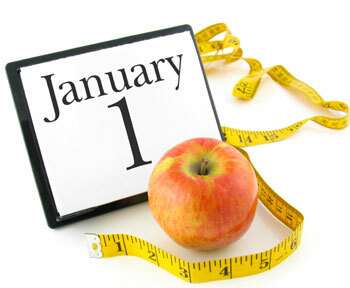 One that clients will remember, love and associate with their day of bliss in your hands? With hundreds upon hundreds of fragrance blends to smell here at Pure Spa, one of my all time aroma favorites is the Pomegranate & Cranberry Customizing Complex from Biotone. Made from extracts of Pomegranate, Cranberry, Almond, Wild Cherry, and Loquat, this exotic fruit blend mildly relaxes the body while gently stimulating circulation to remove toxins, cleanse and tone and also help moisturize dry skin. This product can be added to Spa Butter, Mud, Salt Glows or body treatments to drastically enhance creativity and client enjoyment. Detoxifying Blend, Lavender & Calendula and Green Tea & Lime Leaf. Cuidado Piso Mojado! Caution Signs for your Spa / Salon! Spills happen and then your staff mops them up... but wait, that floor is slippery when wet! And guess what, it is Murphy's Law, one of your clients will walk right for the wet spot! Slips and falls not only can hurt your clients and staff, but they can take down your business... remember, we do live in a litigious society. What do do? 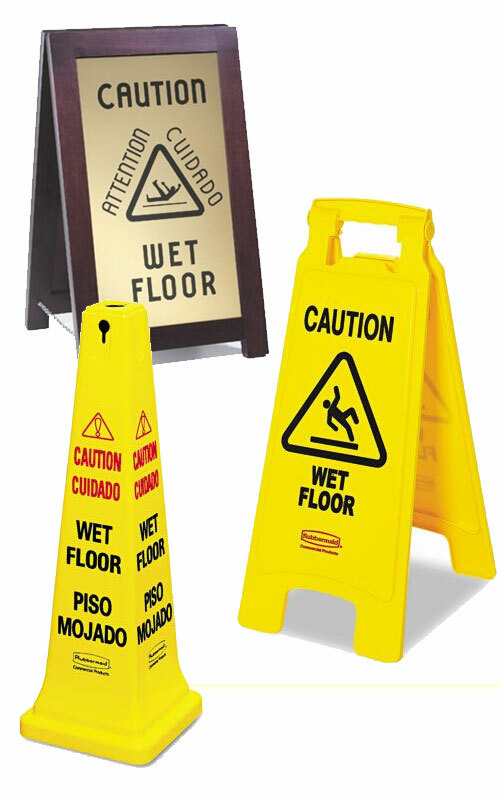 A little precautionary action of course... order some wet floor signs from Pure Spa Direct and use 'em when you need 'em! The Evolution of a Brush: From Bone Picks to Gemstones with the Thermal Tourmaline Round Brush! For as long as people have had hair, we have needed some way to tame the tangles, free the knots, and show off our own personal style. 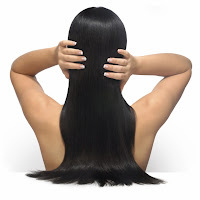 Hair brushes have been around for thousands of years, but thanks to evolution, they have transformed from being simple bone or shell picks, to more modern and ergonomic styling tools. 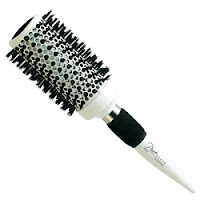 For example, Pure Spa Direct recently added the Thermal Tourmaline Round Brush to our ever-expanding product selection. After reading the description of this brush, I couldn't resist and had to purchase one instantly. 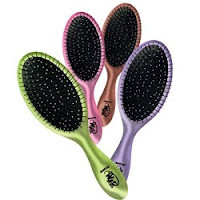 The Thermal Tourmaline Round Brush has crushed Tourmaline gemstones infused within the barrel of the brush that emit negative ions to SMOOTH HAIR, ADD SHINE and ELIMINATE FRIZZ! Yes, this brush is infused with GEMSTONES!!! 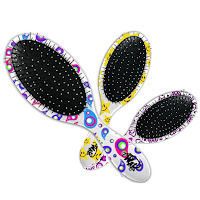 As an end-user, I have noticed visible results to the appearance of my hair when I use this brush during my blow outs. As professionals, having a brush that works miracles to bring structure to a client's unruly mop is a necessity! That is why I recommend that every hair salon ditches their antique brushes and adds the Thermal Tourmaline Round Brush to their salon stations and retail offerings. 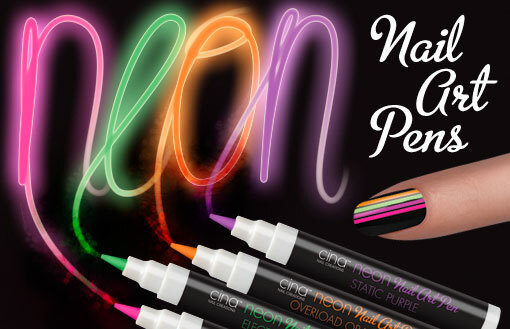 Have you had the chance to try this amazing brush yet? What's hot this week you ask?? Intrinsics Cotton Naturelles in the 2,000 pack. These are flying through our warehouse this week. Buy in bulk and you save! The girls tell me they're great for facials and nail applications.... why? I have no idea... I'm just a shipping guy! See our great Intrinsics Cotton Naturelles - 2,000 pack selection HERE!